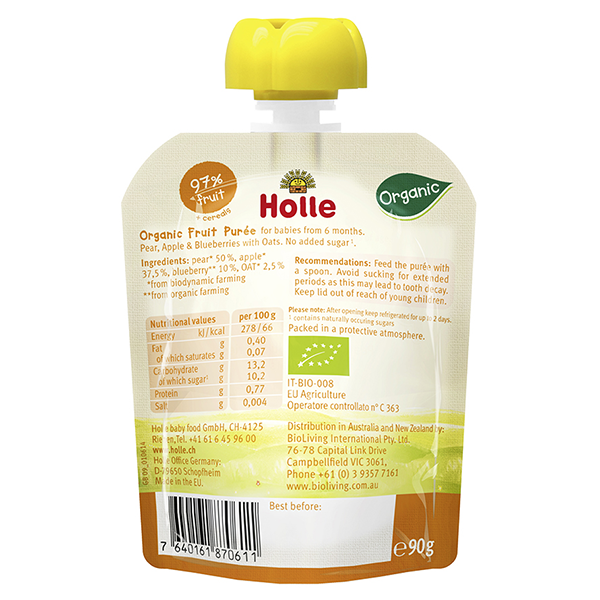 This Holle Organic Fruit Pouch contains 100% pure Demeter certified fruit (highest organic quality) plus wholegrain oats with absolutely no additives. 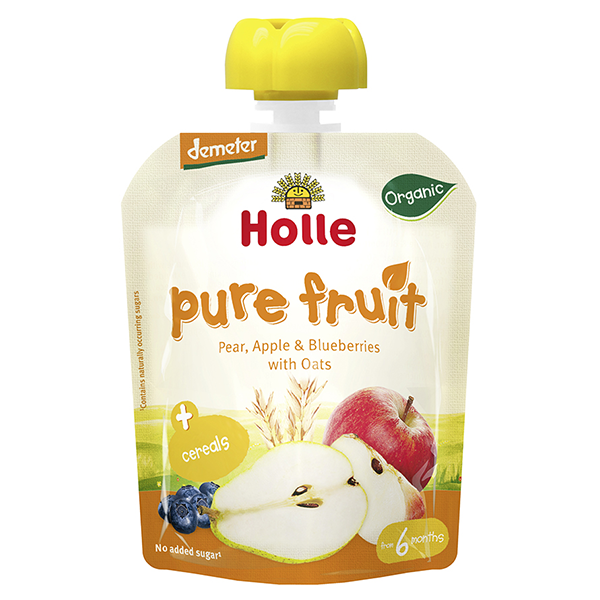 Unsweetened and finely pureed in a resealable pouch for practical portion feeding at home or on the go. Suitable from 6 months onwards and enjoyed by children and adults too. Contains gluten and naturally occuring sugar. thanks for this free xmas gift my daughter just had it with her porridge and she gives a huge thumbs up! lovely and fruity! Great pouches for breakfast, they're SO tasty!